The latest instalment of Mastermix’s Pro Dance series is out now featuring thirteen of the latest dance tracks and popular remixes of chart hits. With tracks from Avicii feat. Robbie Williams, Cheryl, Professor Green feat. Mr Probz and Rixton to name just a few, the December edition of Pro Dance is a must for all commercial club and bar DJs as well as mobiles who play for younger crowds. 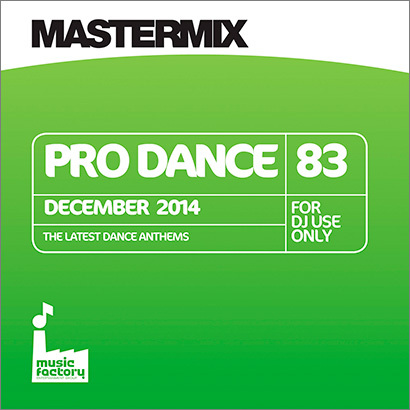 Pro Dance 83 is available now from Mastermix stockists around the country and can also be ordered directly from Mastermix on CD or as a digital download for £15.32.